Silver Nanotechnology Might Be Hot, but is it Healthy? Recently, the Chicago Tribune published an article that calls into question the sustainability and health risks associated with silver nanotechnology. What’s so important about this article is that it finally asks the question that I’ve wanted answered for years: What are the chronic effects of exposure to products that use nanosilver to kill bacteria? Silver nanotechnology, or nanosilver, refers to the use of incredibly tiny particles of silver to kill microorganisms. Silver has been used for hundreds of years, especially in the medical field, for its antibacterial properties. Nanosilver is a relatively new technology used in disinfectants and embedded in touch surfaces. At HSC, we have seen nanosilver in both of categories – countertops or door handles that have nanosilver embedded in them or disinfectants that use nanosilver as part or all of the active ingredient. Nanosilver is popular with marketers because it feeds into our fears of bacteria while purporting to be a “non-toxic” alternative for disinfectants. Within the last decade, a new crop of products utilizing this technology has emerged rather quickly, with very little oversight. However, without consistent regulation at a national level, we need to do our own research and use our own judgment when choosing greener products. Access to information is absolutely critical when it comes to doing right by our environment and our health. At HSC, we’ve always been cautious about new disinfectants that claim to be “environmentally friendly.” There’s a lot of misinformation out there when it comes to green cleaning—such as the myth that you can’t disinfect in a green cleaning program. Disinfection is key to health, and it doesn’t have to be unhealthy. It might be true that there is no such thing as a green disinfectant ; but, armed with the right information, you can find products with the right balance. The truth is, we don’t know the long-term effects of silver nanotechnology. And we don’t ever want to trade off an unknown hazard for a known one. Not only that, but we also worry about what the use of these products does for cleaning practices. Often times the nanosilver particles are embedded on surfaces that are then touted as antibacterial or a spray product has 24 hour residual claims. This introduces the risk of becoming sloppy. Even though a countertop is antibacterial, you still need to clean it to keep it safe – that thin layer of dirt on top of the antibacterial counter is still a prime breeding ground for the germs that are not contacting the counter surface. Good cleaning practices are ultimately more important than the actual disinfectant product used when it comes to green cleaning and a healthy school environment. – Scientists wonder if the nanosilver particles could spread throughout our internal organs because they are so very small and leach out of products when washed. – Silver nanotechnology products were “conditionally approved” by the EPA, meaning they were marketed before all the required safety studies were submitted. 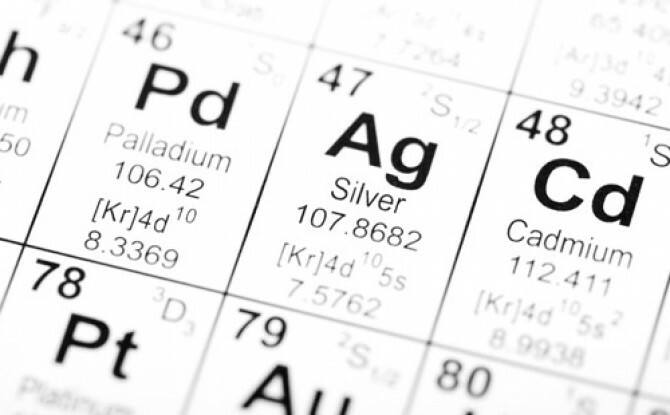 – Some scientists worry that bacteria might become resistant to silver’s disinfecting properties with the widespread use of nanosilver. We want to understand the health implications of the products we use. It’s about slowing down, doing more research and finding the right information. Who knows? Research may emerge showing that silver nanotechnologies offer health and environmental benefits that make it good option in some situations. Still, we need to know more. Until then, remember that product selection isn’t the first thing you should be looking at when implementing a greener infection control program – it’s first about education and cleaning, and then product selection. Avoid the hype that comes with highly marketed green products and educate yourself first. Start educating yourself now. Learn more about infection control in Green Clean Schools. Nanosilver is on a fast-track approval process, which means it might be showing up in our children’s toys without being fully studied. It’s a scary thought but one worth knowing about.